STATE BUDGET - Romania’s 2019 draft budget was adopted in Friday’s Government session, the Finance Minister Eugen Teodorovici has announced. He has stated that the document provides for significantly more money for investments, health-care and education. Also, the draft budget stipulates the allocation of 2% of the GDP for defence, in keeping with Romania’s commitment to its partners in the North-Atlantic Alliance. Also, the necessary funds are secured for increasing pensions by 15%, as of September this year, and also significant budgets for the local administration. The draft budget, criticized by the left-wing opposition, was built on an estimated 5.5% economic growth rate, an inflation rate of 2.8% and a deficit of 2.5% of the GDP. DEVESELU ANTI-MISSILE SHIELD- The NATO anti-missile shield concept is an action proportional to the current threats and is in full compliance with all international agreements, including the Intermediate Range Nuclear Forces (INF) Treaty and any attempt by Russia to deny this is a “glaring misinformation” and an attempt to distract attention from the real violation of the treaty by the Russian state, the Romanian Foreign Ministry announced on Friday. The announcement was made following consultations between the Romanian foreign minister Teodor Melescanu, the NATO Secretary General, Jens Stoltenberg, and the allies.  The Romanian Foreign Ministry reiterates the fact that the military base in Deveselu, southern Romania, has a strictly defensive role and does not make the object of the INF Treaty. The statements are made just a day after on Thursday, the Russian Defense Ministry urged the US to destroy the anti-missile shield in Romania, claiming the system violates the Intermediate-range Nuclear Forces (INF) Treaty. A new Russian missile, Novator 9M729 is at the centre of the conflict, a missile which, according to the US infringes the INF Treaty signed in 1987, which bans a whole series of land nuclear and conventional missiles, with a range of 500 to 5,500 km. Moscow rejects the American accusations and claims the missile has a range of 480 km. The US and Russia have made public their intention to withdraw from this treaty. VENEZUELA - Romania’s President Klaus Iohannis has decided to recognize Juan Guaido as interim president of Venezuela, the Presidential Administration announced on Friday. Klaus Iohannis believes that, as Romania is currently holding the Presidency of the EU Council and against the background of an increasing dynamics of international developments, Romania must have fast and well-grounded reactions with regard to foreign policy issues, in keeping with the main priorities it has constantly related to on long term. The US, Canada and most countries in the EU and Latin America have voiced support for Guaido. On Saturday, at a UN Security Council meeting, President Nicolas Maduro was supported by China and Russia. Maduro has rejected the calls for new elections made by the US, Canada, the EU and the Latin American countries. MEETING - An informal meeting of the Justice and Home Affairs Council, focusing on justice, continued in Bucharest on Friday. The talks were chaired by the Romanian Justice Minister Tudorel Toader, and the agenda of talks included three main topics: ways to boost judicial cooperation in civil and commercial matters, obtaining electronic evidence in criminal cases and the future of judicial cooperation in the field of criminal law. Attending the meeting was also the Commissioner for Justice, Consumers and Gender Equality, Vera Jourova, who said she was optimistic about the contribution of the future European Public Prosecutor’s Office to the activities of cracking down on corruption and containing crime related to European funds. Competing for the position of head of this office are three candidates, including the former head of the Romanian National Anticorruption Directorate, Laura Codruta Kovesi. On Thursday, the participants approached the issues of terrorism, police cooperation, the Schengen Area and migration. The meeting was held in Bucharest, the capital city of Romania, a country which is currently holding the rotating presidency of the Council of the European Union.